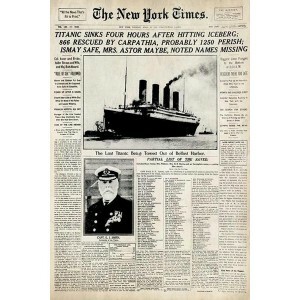 This print captures the front page of the New York Times on April 16, 1912 - just hours after the Titanic sunk. The Titanic Sinks Poster measures 430mm wide x 590mm high and is printed full colour (CMYK) on 150gsm quality artboard ready for framing. These posters are hard to find (rare) and are in excellent condition making them a valuable collector's item. Secure your piece of Nautical history! 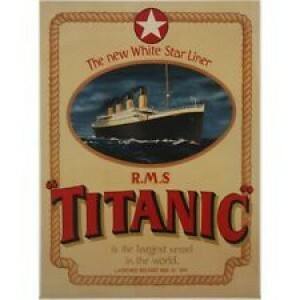 The Titanic Sinks Poster is an Officially Licensed Poster.